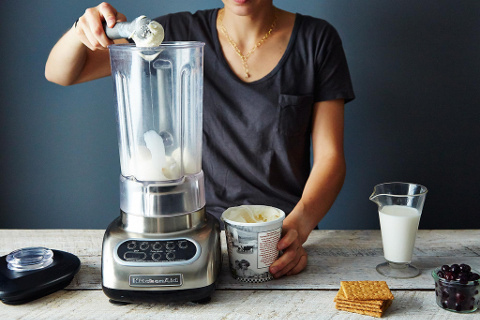 Follow Food52's recipe-less instructions to concoct a creamy shake featuring blueberries and graham crackers (or whatever add-ins you dream up). 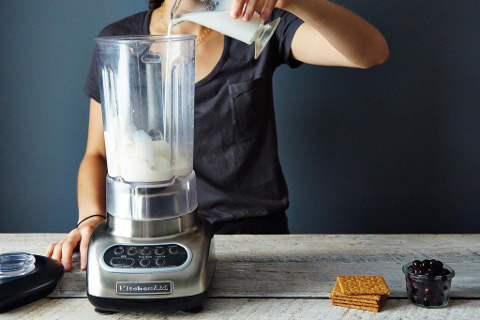 A milkshake is really one of the easiest and quickest things to whip up at home—given that you have the right ingredients. 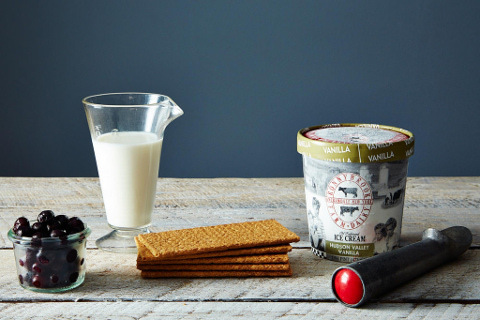 All that you need is good-quality ice cream (Food52‘s Sarah Jampel prefers vanilla ice cream because it is “an endlessly customizable base”), some milk, and whatever add-ins you can dream up. Did somebody say doughnuts and bacon, or was that just the voice in our head? 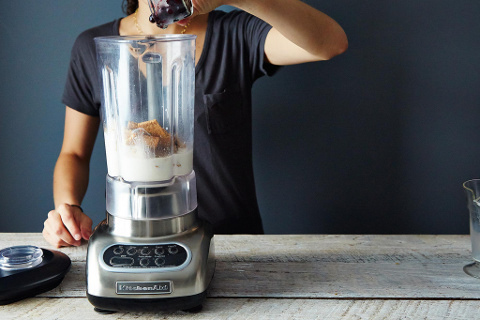 If you’re in the mood for something that is both refreshing and has wonderful texture, try Food52‘s easy-to-follow, recipe-less instructions for a sweet blueberry shake. The milk to ice cream to add-in ratio produces an ideally thick and creamy drink. Get the instructions and view the full recipe here. It’s important to use high-quality ice cream—the ice cream determines both the flavor and texture of your shake. 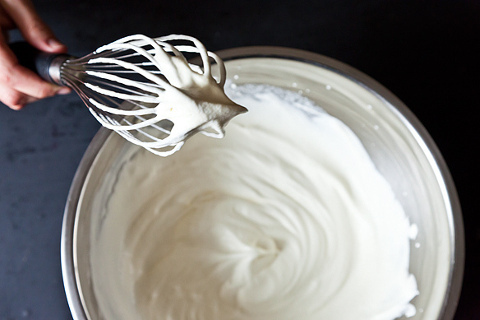 If you prefer smoother shakes, let the ice cream sit out for a while before blending it in. The richer the milk that is used, the richer the shake will be. Fresh berries and graham crackers are just a few of the many possible add-ins: also consider chocolate syrup, rum, or homemade Nutella.